Get In the Hot Spot is a travel blog with inspiration, tips and ideas for people who love travel, writing and living their dream life. Annabel Candy, writer of Get in the Hot Spot, started blogging to share her passion for travel and become a more confident writer. 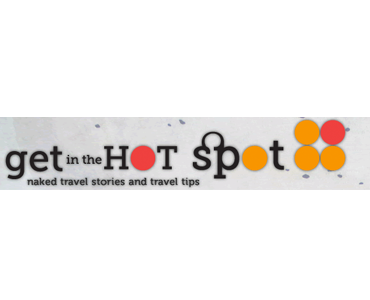 Two years later, over 20,000 people each month read Get In the Hot Spot, with over 145,000 visitors in the last 12 months. Annabel’s writings have been featured in travel magazines like Escape in Australia’s Sunday Telegraph, and on some of the biggest blogs in the world including Gadling, Zen Habits and Copyblogger. Description: This will be a sponsored post written by the author. The post should be relevant to traveling and the content of GetInTheHotSpot.com. Restrictions: Nothing offensive, misleading or non-travel related.